Discussion in 'Headphone Reviews' started by quadpatch, Nov 18, 2013. So if my iPhone were at one end of the chain and the headphone at the other end, how many pieces would there be? See if I count correctly. iPhone, Lightning to Camera Kit cable, camera kit adapter, cable from camera kit adapter to amp, amp, headphone. I might have missed a piece or two, but 6 is a lot. My question is, since the promise of a better DAC is very fine detail, especially in the highs, might we lose some of that with all of the extra pieces and connectors? Hi Dale . I only count 5 (see below image). That's two cables that carry digital (lossless) and then the amp output is going straight to the headphones. I don't see this as any worse than any other setup. In the case of Android you can get away with a single digital cable (if you have one made up). This makes it nearer but the audio quality is exactly the same. That looks really great Edd - what's that white cable? Ha, you know I thought it was a lighting to CCK cable, but now I look closer I see that it's got a 'Just Audio' logo on it so it must be a custom one of theirs. I can't see it for sale on their website so I will ask because I don't think you get it with the 120Ds. I will get back to you on that. The Android setup looks much like this, the cable for that do come in the box I'm pretty sure (they did in mine). 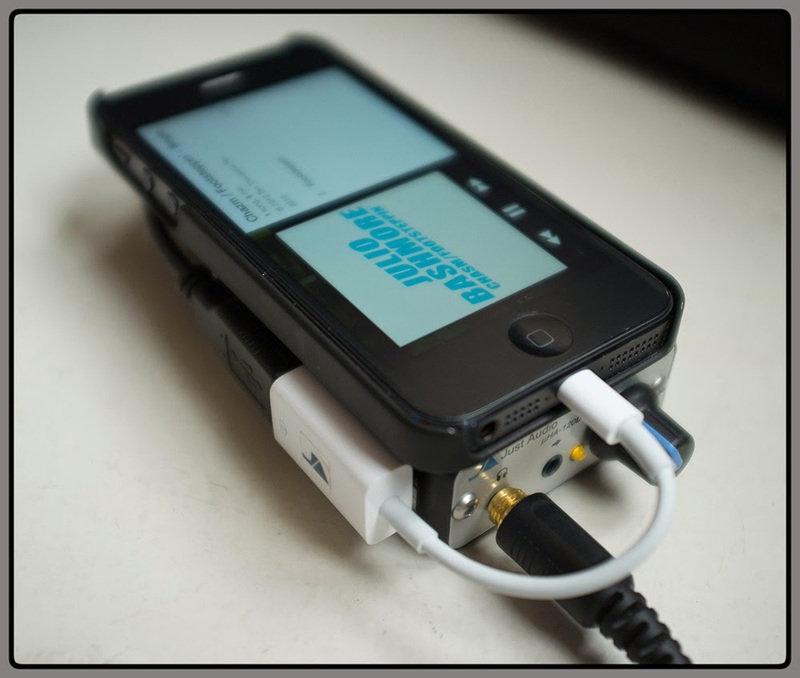 From the photo, it looks like the DAC/amp works with an iPhone with just the JA cable and the short black USB cable. That's basically the same then as any of the Apple-specific DACs like the Algorhythm Solo, V-moda Verza etc., or am I missing something? Yeah that's essentially it. I am trying to contact Justin (from JA) at the moment but I think Robin is on holiday at the moment. I think the cable is a CCK cable, apart from that it just works (no pun intended)/ This is very cool because, like you say, the others that support the Apple are few and far between and tend to only support Apple DACs. Oh must try to listen to this sometime. The uHA120, uDAC2496 and AHA-120 have been real gems for me so I expect the same of this one. Do you happen to know what DAC chip is being used? Sorry for the late reply marcus. I really need to try those other models out . Not sure what the DAC chip in the 120Ds is, it doesn't seem to be listen anywhere. I can't even find people talking about it on forums.